This client hired Chandler Prewitt Design to design and remodel the master bedroom, bath, and office of a traditional Betty Stewart home. 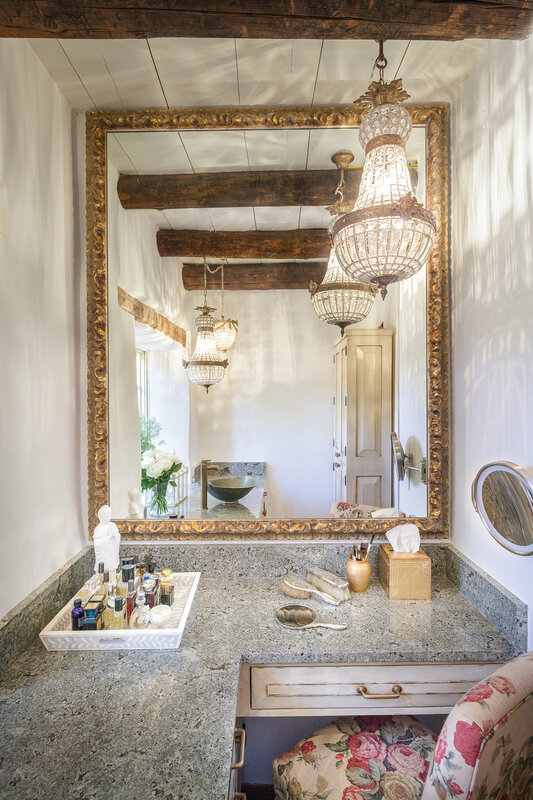 The idea was to celebrate the Spanish Colonial Style of the architecture and add romantic beauty to a rustic home. The client loves pink and wanted to use it throughout. We created the look by layering sumptuous velvet and silk fabrics with handcrafted furniture and antiques. 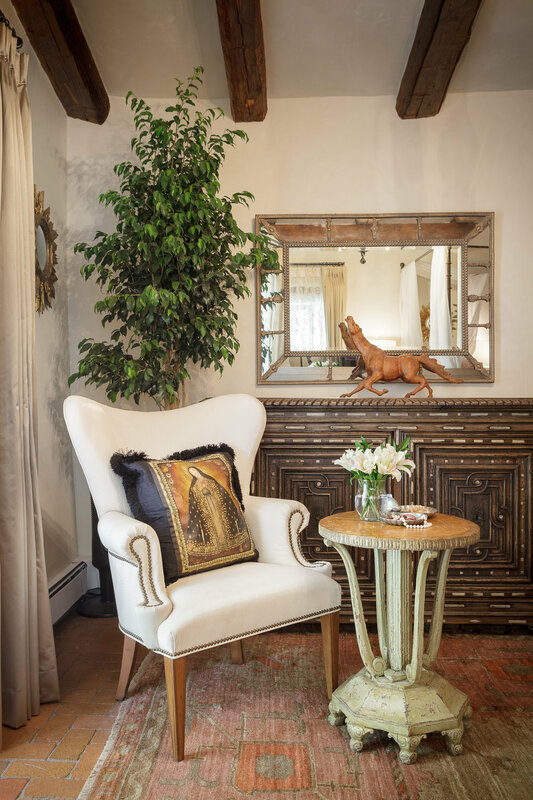 In the end, the client had a home that felt beautiful and feminine while remaining rustic and Southwest.